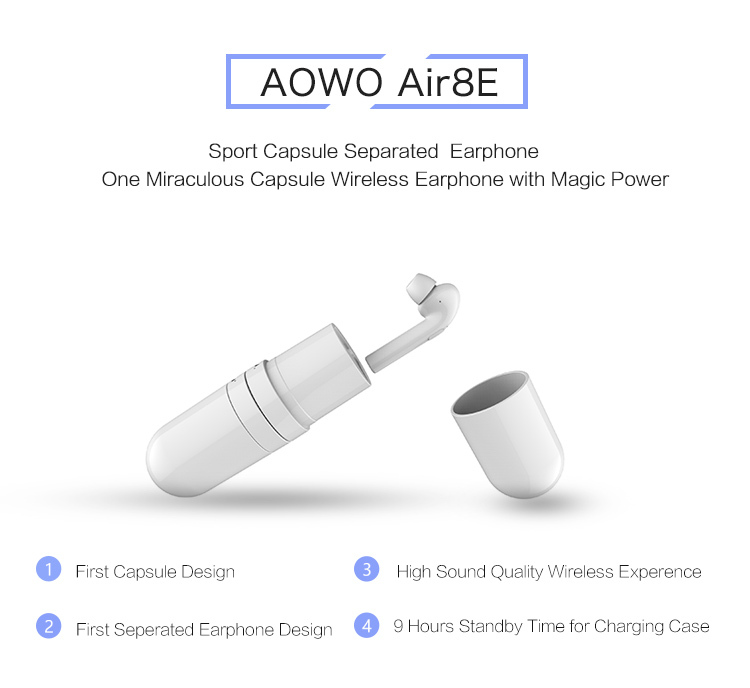 AOWO Bluetooth Wireless Earbuds is True Wireless Noise Cancelling Headphones Earphones. 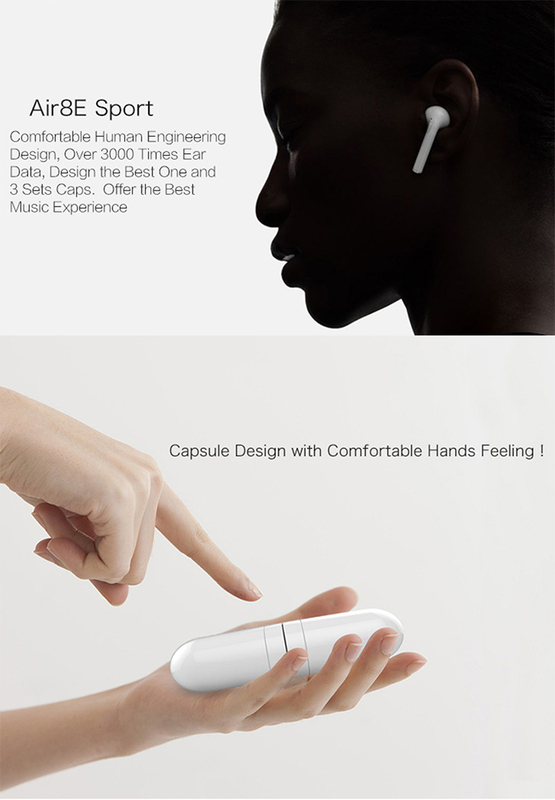 [THE FIRST CAPSULE DESIGN] 2 in 1 Separation function,Right and left earphones can be used at the same time, Also can be shared to other people. 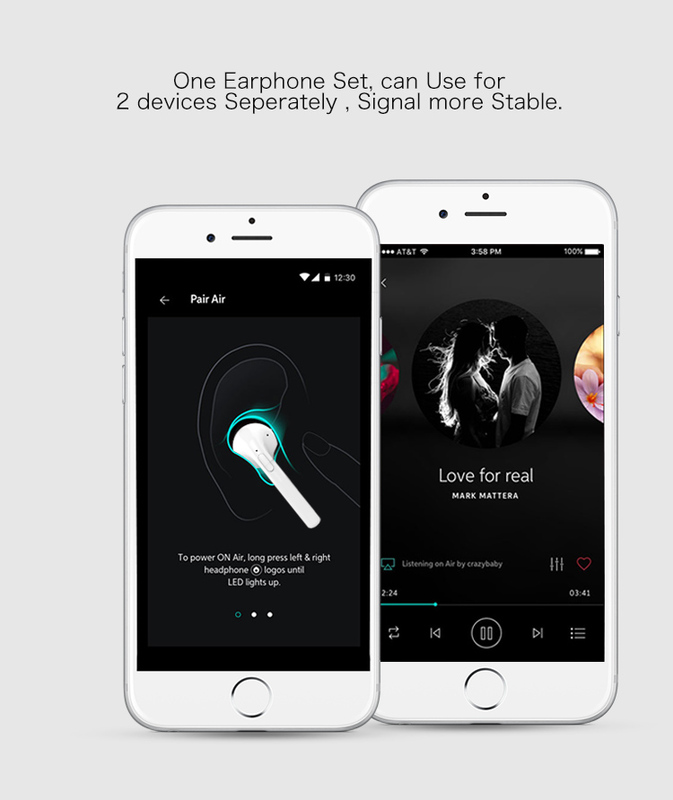 Two people can carry a single earbuds alone.In addition to the call function, only the main ear bud can be used during the call. 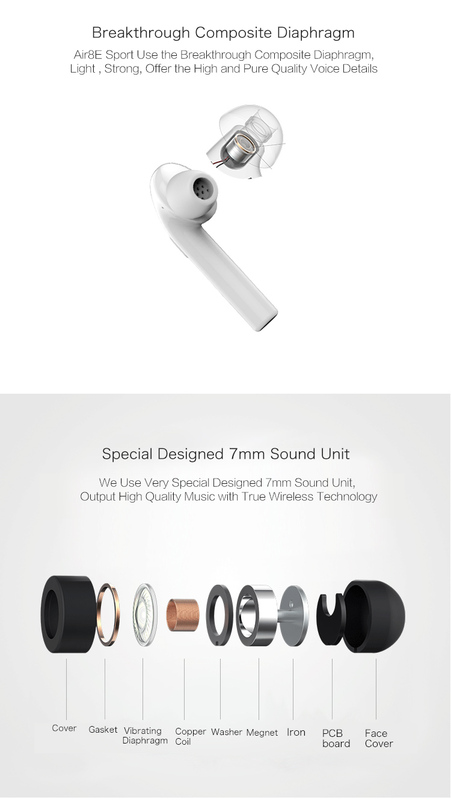 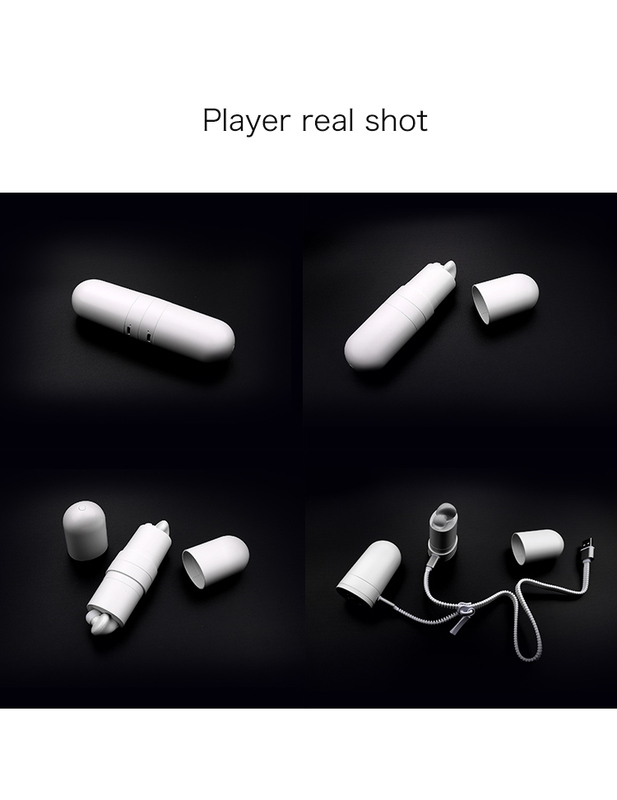 [WITH CHARGING CASE] Capsule earphones unilateral built-in battery 200mA, Charging case endurance for 9 hours,Can be charged at any time.Enjoy about up to 2.5 Hours of Premium Quality Talk/Play Time (Full Charge approximately 1-2 hours) . 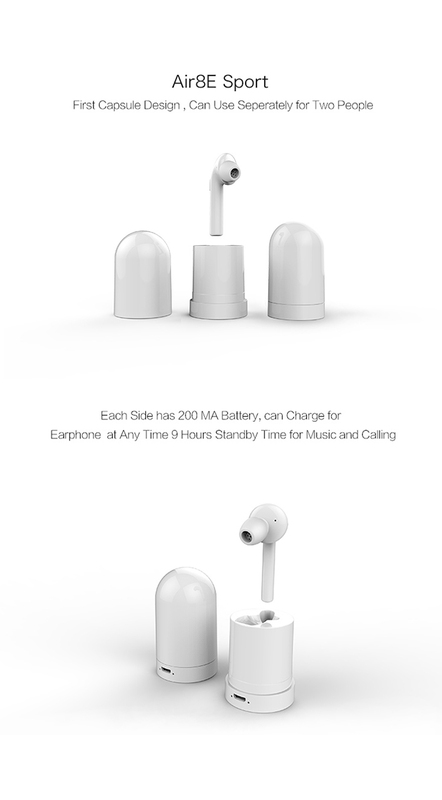 200mAh Unilateral Capacity Charging Case Can Provide 3-4 Times Longer Charge by USB . 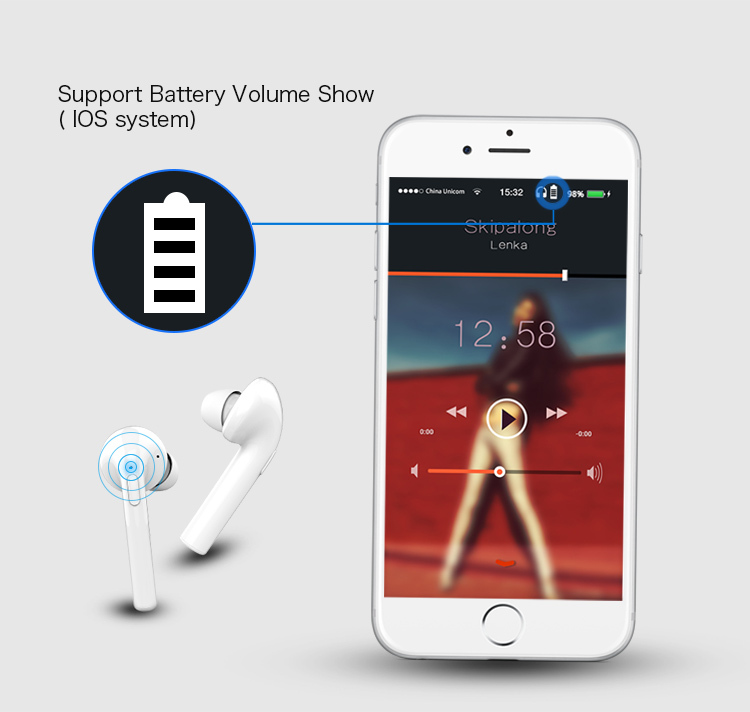 [TRUE WIRELESS STEREO] Super Sound Quality with V4.2,Built-in Audio Processing System Which Eliminate Noise and Echo. 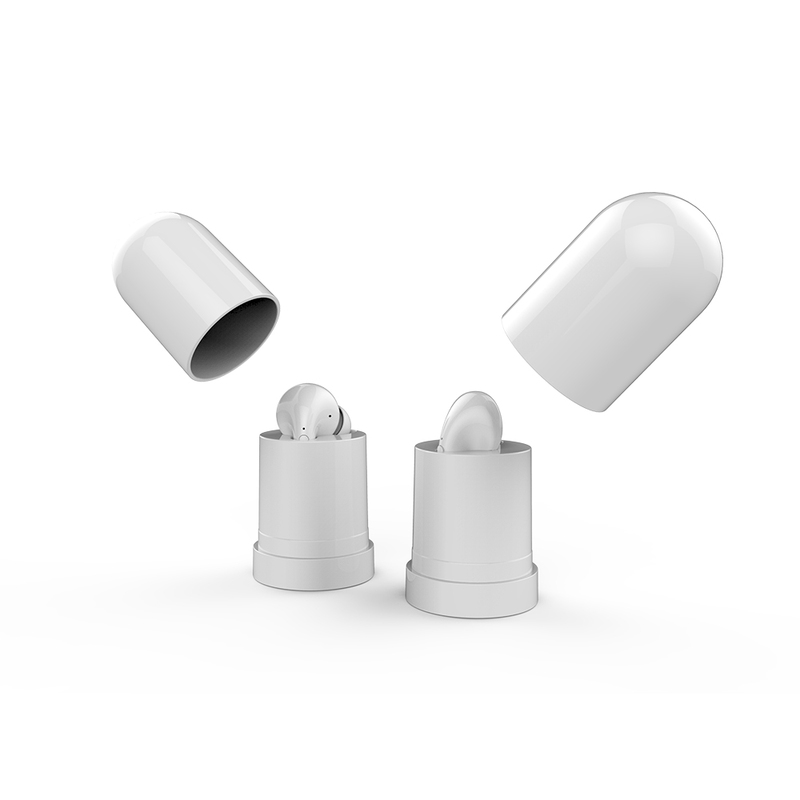 High Quality Chip for Stereo Sound and Bass Sound .Clear High & Low Volume . 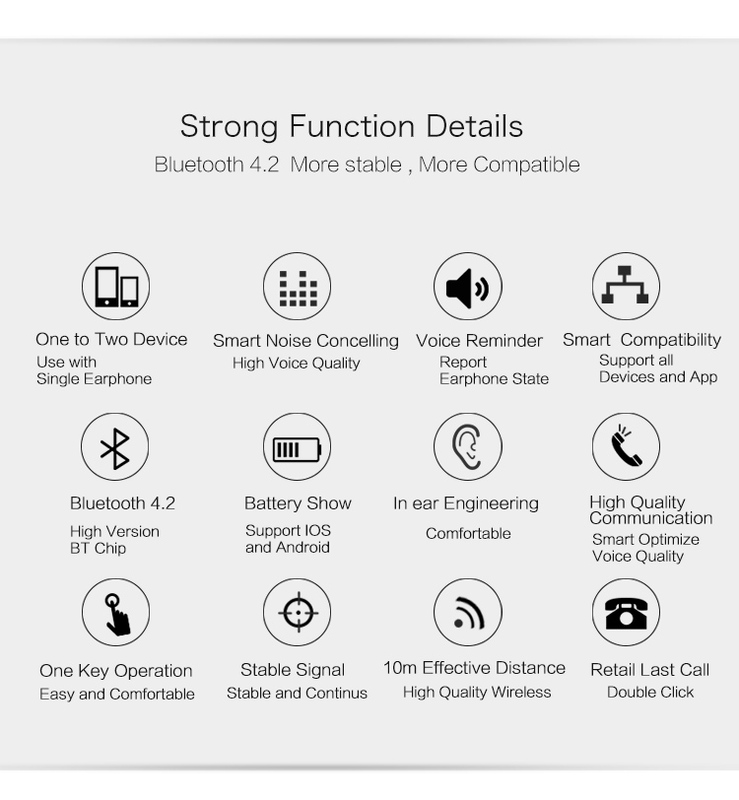 It’s Easy To Take and Make Calls ,Voice Dialing with Superior Microphone Quality. 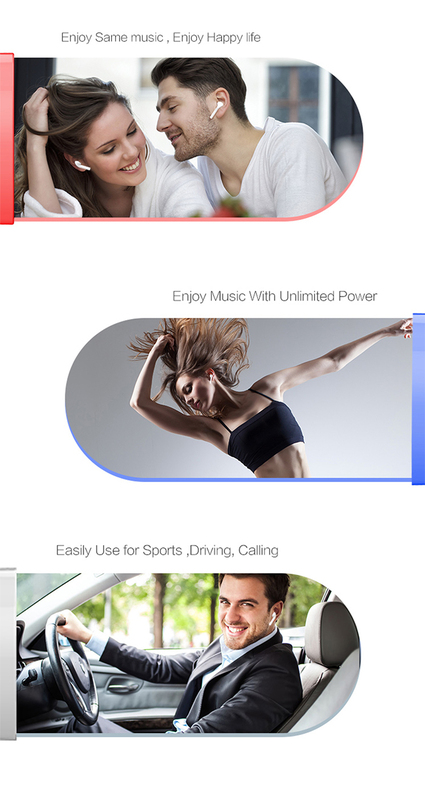 Ideal for Car Calling and Friends Chatting, or Working Use. 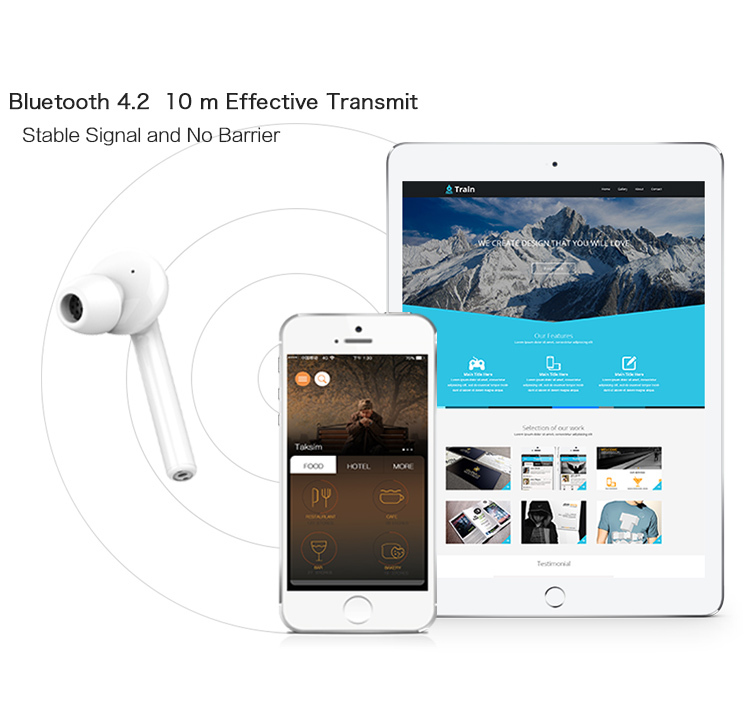 [BLUETOOTH V4.2 & COMPATIBLE ] Compatible with iPhone 8 7 6S 6 plus, LG G5 G4 G3, Samsung Galaxy S7 S6, Huawei, iPad , Bluetooth-enabled Tablets etc; the Wireless Range up to 10 meters. 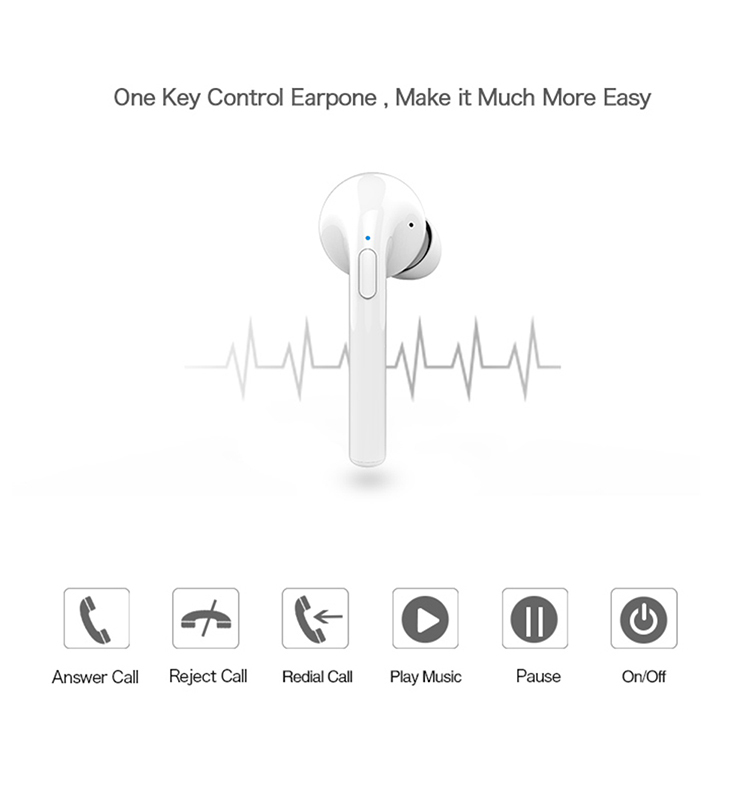 It Can Connect Two Mobile Phones at the Same Time and Ready to Answer the Incoming Call of one Phone at Any time(only the main earphone).